Over there on the right-hand side of this blog, in the land of IAQs, I suggested that the Ota vuoronumero! (Take a number!) 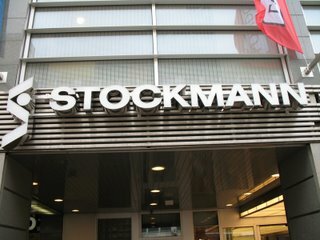 approach to customer service was a defining characteristic of Stockmann’s, Finland’s favorite department store. I wrote that based on personal experience in three departments of the Helsinki store: the travel agency, the ticket service, and the camera department. I've learned that it's not so. 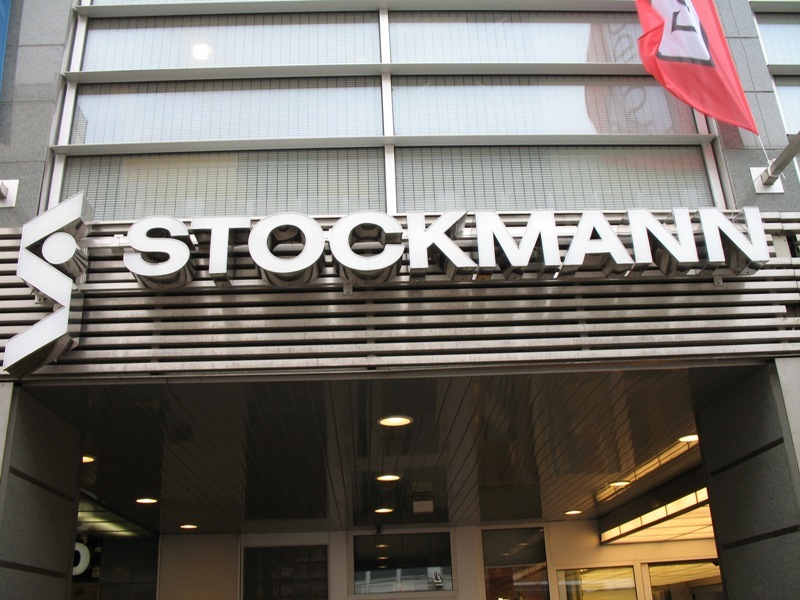 For one thing, there are plenty of Stockmann departments—in both the Helsinki and Oulu stores—that do not operate on that basis. Moreover, Ota vuoronumero! is not at all unique to Stockmann’s. When customers can just help themselves to the merchandise, they do that and then queue up at the cashier, the kassa. That's the way things are done pretty much everywhere in this country. The number machines are reserved for commercial transactions that are more labor-intensive (though not at the post office, it seems, for some reason). At my bank, Nordea, the number machine gives you a menu of varied services (account management, currency exchange, etc.). My language skills aren’t good enough to know for sure which button to press, so I'm guessing most of the time. The impressive thing is that when your turn comes along, there is no rushing. The customer service representative—there are no tellers, really—will give you all the time you need. Several weeks ago I had a Nordea representative accompany me out into the lobby to help me use a computer to transfer money from my account to a bank in Chicago to pay a bill. She was unbelievably patient. It didn’t work, in the end, but that was neither my fault nor hers. I had an interesting experience at the Oulu City Theater. The ticket counter is located in a huge lobby, which was completely empty when I arrived. There were two women working the booth. I approached one of them and said I wanted to buy an opera ticket. She gave me a funny look, and then proceeded—a little reluctantly, I thought—to discuss terms with me. As we were concluding the transaction, I noticed that another man had come in and dutifully helped himself to a number from a machine that I hadn’t noticed before. I’m guessing it was my failure to take a number--empty lobby or no--that elicited the funny look. Our guest columnist on September 26 suggested that the Ota vuoronumero! concept is well suited to this country because Finns “somehow realize they need rules. . . . If you couldn’t take a number all hell would break out. Chaos would reign, much like it does in places like Italy.” I agree with that statement as far as it goes. But doesn’t it just push the question back a step? Why is it that Finns just “somehow realize” that, while Italians and Americans, who need rules every bit as much, I would say, somehow don’t? One might even infer from that that the Finns’ “social peripheral vision,” as he so nicely put it, is actually more highly developed than ours. I don’t know, civilization seems like an awfully thin veneer pretty much wherever you go.